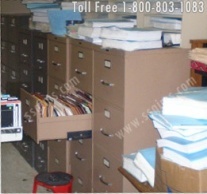 Do You Need To Make Changes To Your Filing System? Does this situation sound familiar to you? If it does, then you have come to the right place. 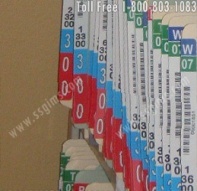 Southwest Solutions Group® recently converted a firm to color coded files with barcode file tracking to solve their file management problems. Another part of the redesign of the firm’s filing system was to implement a barcode file tracking system to reduce the time spent searching for files when they were out of the filing system. The barcode file tracking software allows the firm to know exactly where files are located at any given time through a database linking files with employees and locations. With a new color coded filing system and barcode tracking software, the firm was able to make their employees happy and more productive. If you would like to learn more details about how we were able to help this firm create an efficient records management system, click here to download the PDF file. I f you would like more information about how Southwest Solutions Group can assist your business with creating an efficient records management system, give us a call at 1-800-803-1083 or click here to send us a message.